With over 1 million copies of the series sold on PC, the ultimate dungeon crawling RPG is now available on iOS! 5/5 "Simply put, there’s not a better RPG on the App Store right now." - Pocket Tactics 5/5 "The perfect blend of modern ac...MoreWith over 1 million copies of the series sold on PC, the ultimate dungeon crawling RPG is now available on iOS! 5/5 "Simply put, there’s not a better RPG on the App Store right now." - Pocket Tactics 5/5 "The perfect blend of modern action and classic dungeoneering." 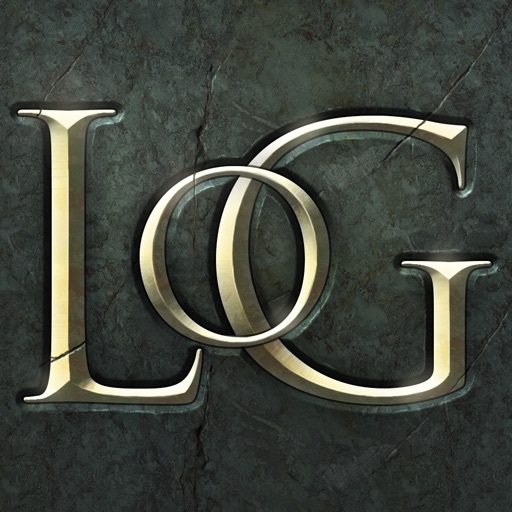 - TouchArcade Legend of Grimrock is a dungeon crawling role playing game with an oldschool heart but a modern execution. A group of prisoners are sentenced to certain death by exiling them to the secluded Mount Grimrock for vile crimes they may or may not have committed. Unbeknownst to their captors, the mountain is riddled with ancient tunnels, dungeons and tombs built by crumbled civilizations long perished now. If they ever wish to see daylight again and reclaim their freedom the ragtag group of prisoners must form a team and descend through the mountain, level by level. The game brings back the oldschool challenge with highly tactical real-time combat and grid-based movement, devious hidden switches and secrets as well as deadly traps and horrible monsters. Legend of Grimrock puts an emphasis on puzzles and exploration and the wits and perception of the player are more important tools than even the sharpest of swords could be. And if you are a hardened dungeon crawling veteran and you crave an extra challenge, you can arm yourself with a stack of grid paper and turn on the Oldschool Mode which disables the luxury of the automap! Are you ready to venture forth and unravel the mysteries of Mount Grimrock? - Explore a vast network of ancient tunnels, discover secrets and find a way to survive in the perilous dungeons of Mount Grimrock. - Cast spells with runes, craft potions with herbs and fight murderous monsters with a wide variety of weaponry. - Create a party of four characters and customize them with different races, classes, skills and traits. - Pure blooded dungeon crawling game with grid-based movement and thousands of squares riddled with hidden switches, pressure plates, sliding walls, floating crystals, forgotten altars, trapdoors and more. - Experience a real labour of love, created by passionate game industry veterans. A spectacular big screen experience, now on your iPad! The game works on iPhone 4 but iPhone 5 or a newer model is recommended to fully enjoy the Grimrock experience.